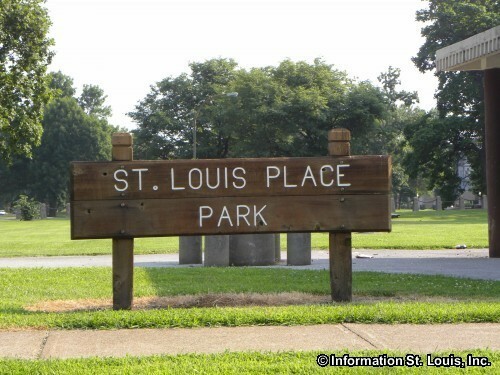 The St. Louis Place neighborhood is located in north St. Louis City. The boundaries of the neighborhood are Cass Avenue to the south, North Jefferson Avenue to the West, Farrar and Palm Streets to the north and North Florissant to the east. 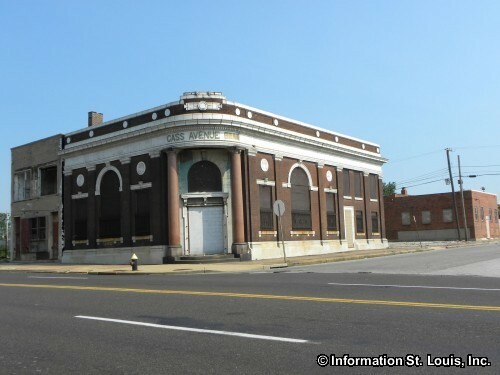 The neighborhood was part of the Union addition to the city of St. Louis that was opened in 1850 by wealthy St. Louisans including John O'Fallon and Louis A. LaBeaume. 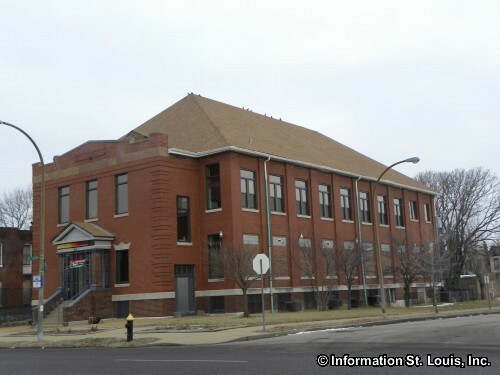 Early residents of the neighborhood were Irish and German immigrants who came to St. Louis in the early to mid 1800's to work in the industries that were located in North St Louis. The neighborhoods that border St. Louis Place are Hyde Park to the north, the JeffVanderLou Neighborhood to the west, Carr Square to the south and the Old North St. Louis Neighborhood to the east. 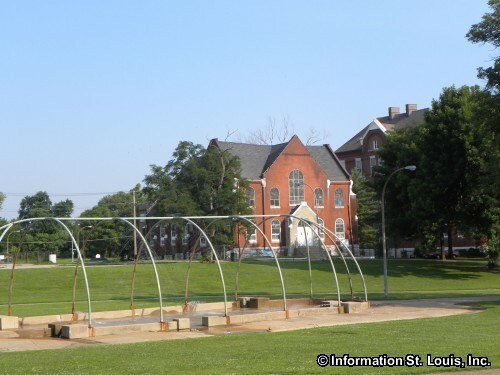 St. Louis Place Park is a City park positioned between 21st Street on the east and Rauschembach on the west and runs for 9 blocks. The park is a central feature to the neighborhood. The land for the park was originally set aside when the neighborhood was laid out in 1850 by John O'Fallon and others. It was for public use and the residents of St. Louis Place enjoyed the beautiful open space for recreation and for gathering. Today the park is still important for the area and provides playgrounds, basketball courts, horseshoe pits and spray pools. 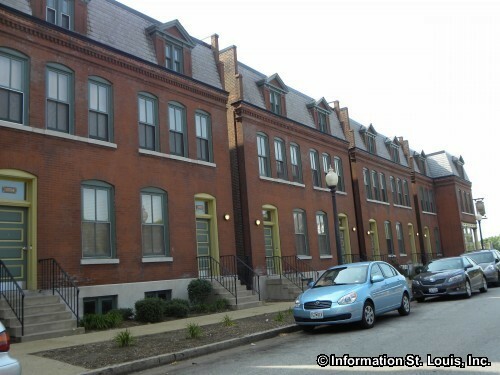 The residents of St. Louis Place Neighborhood are served by the St. Louis Public School District. Although there are no district schools within the neighborhood, there are several close by. The Ames VPA Elementary School is located in the Old North Neighborhood on Hadley and is a Magnet School, Patrick Henry Downtown Academy on North 10th Street is in Columbus Square and the Carr Lane VPA Middle School, another Magnet School, is found in the Carr Square Neighborhood on North Jefferson. 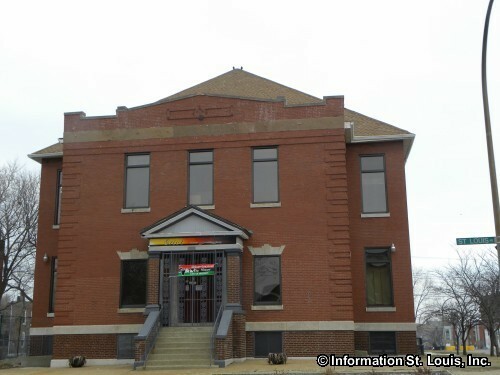 The Griot Museum of Black History & Culture is located in the St. Louis Place Neighborhood. The Griot is the premiere museum in the region on African-American history. The St. Louis Place neighborhood contains the National Register's Clemens House-Columbia Brewery District which totals 226 contributing buildings. One of those buildings, the James L. Clemens House, is a beautiful Italian Renaissance Revival mansion with extensive use of cast iron for the front portico and window frames. 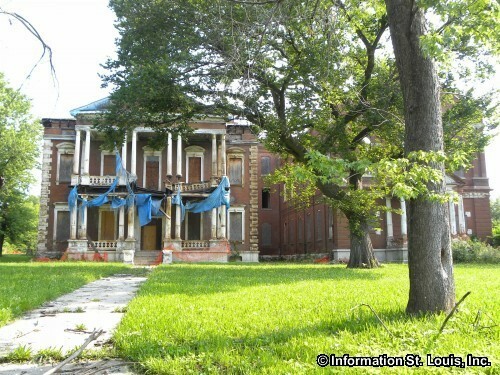 The mansion is one of the most prominent buildings that is left in St. Louis Place and is on the National Register of Historic Places. It was built in 1859 for James L. Clemens who was the son-in-law of the St. Louis millionaire John Mullanphy and the uncle of Samuel Clemens (Mark Twain). James L. Clemens came to St. Louis from Ste. Genevieve in 1816 and opened a store, quickly becoming a prosperous businessman. He married Eliza Mullanphy in 1833 who inherited her share of her father's estate six months later when John Mullanphy passed away. This caused the Clemens to become quite wealthy. The land that the Clemens House was built on had been part of John Mullanphy's estate. Unfortunately, Eliza died in 1853. The home was built in her honor. Several female faces are cast in the window frames that supposedly are Eliza. Several owners, including the Sisters of St. Joseph who built a chapel and dormitory additions to the home, have occupied the building. Today it sits vacant and deteriorating and in need of immediate intervention. The Columbia Brewery complex is also part of the Historic District. Built in 1892, it is an example of Romanesque Revival architecture and was designed by the St. Louis brewery architects, Jungerfled & Co. 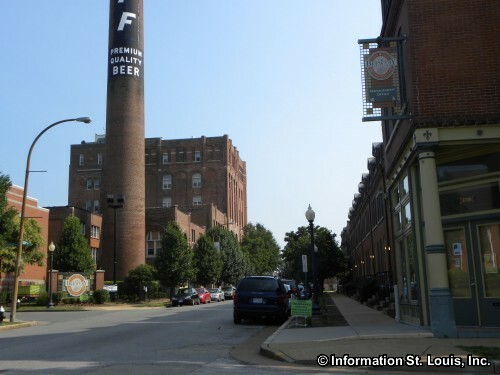 It was a major employer of the neighborhood residents and was one of the large local breweries that made St. Louis the largest brewing center in the nation before Prohibition. 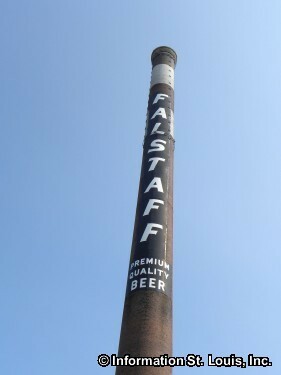 The Columbia Brewery was able to open again in 1933 and then merged with Falstaff in 1948 and produced beer until late in the 1960's. Today Columbia Brewery has been re-adapted to now hold The Brewery Apartments. 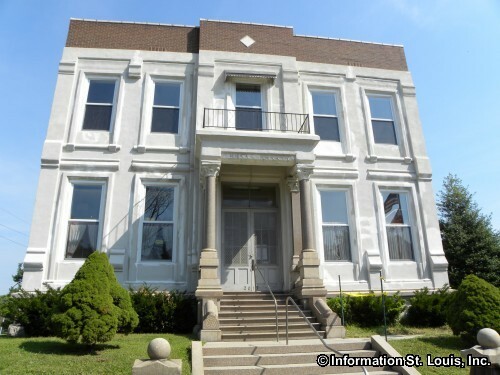 The Frank P. Blair School, named for a popular political figure in Missouri preceding the Civil War, was built in 1882. 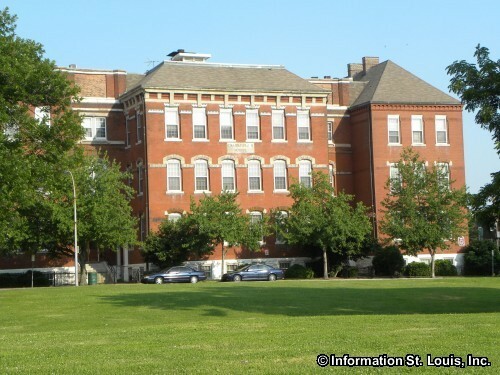 It overlooks the St. Louis Place Park and was designed by the School Board Architect H. William Kirchner as a 12 room school house in the High Victorian architectural style. Built into the design was the ability to enlarge the school with additions. Kirchner designed the first of two additions built in 1888 which added 8 more classrooms. The second addition was built in 1894 which brought the total of classrooms to 24 and was designed by his younger brother, August Kirchner. Being in a predominately German part of St. Louis, the Blair School offered a daily hour of German language instruction which had the desired effect of attracting the children of the German residents to the public schools. The Blair School was in operation for almost 100 years. In 1983 it was placed on the National Register of Historic Places. Today it has been renovated and re-adapted as the Blair Apartments. 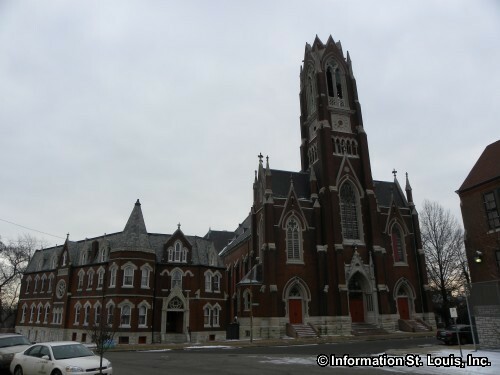 St. Louis Place was the focus of German religious and cultural life in north St. Louis in the late 1800's. The German Zion Lutheran Church was founded in 1860 as the last of four congregations to join in a "Generalgemeinde" or a united congregation. These four churches, Trinity Lutheran, Holy Cross Lutheran, Immanuel Lutheran and Zion Lutheran, were under the leadership of the first president of the Lutheran Church-Missouri Synod and President of Concordia Seminary, Dr. C.F.W. Walther. Zion Lutheran's first location was in the Old North St. Louis neighborhood at Blair and Warren. The present location of the Zion Lutheran Church is on 21st Street and was built in 1895. The limestone Gothic structure faces the St. Louis Place Park and features one tall spire that holds a 16-bell carillon. 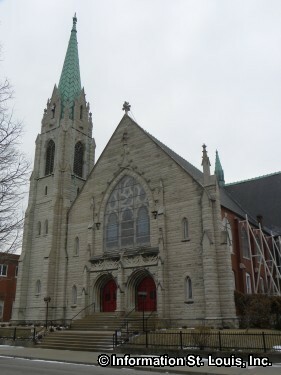 St. Liborius was a Catholic church established in 1856 for the German Catholic population of St. Louis Place. Its beautiful sanctuary was completed in 1899 and contained imported stain glass and marble alter. It was a German National parish. In 1992 the church closed and the parish merged with surrounding parishes. The Polish Falcons, a Polish fraternal organization, has had its St. Louis chapter located in the Stifel Mansion that is on St. Louis Ave since 1932. The Stifel Mansion was owned by one of St. Louis' many beer brewers, Charles Gottfried Stifel. The large vacant building that stands at 2118 Mullanphy Street is an apartment building called the Mullanphy Tenement Building. 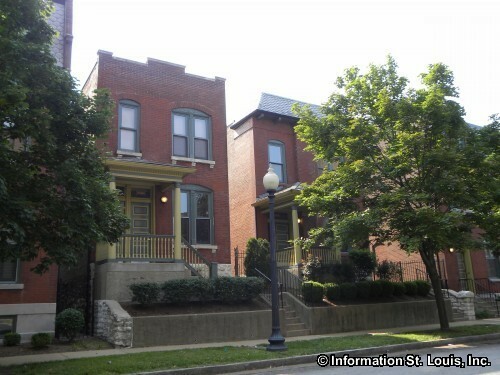 It was designed by the prominent St. Louis architect George D. Barnett in 1909. It was built as a project by the Mullanphy Emigrant Relief Fund established by Bryan Mullanphy's estate, as an example that state-of-the-art apartments can be provided for the working class, just like the wealthy enjoy. Some of the features in each apartment were maple floors, double-hung windows with screens and shades, steam heat, slate sinks and maple floors.